In the Northern hemisphere, on or around the 21st of June we experience the longest day of the year with the sun raising at before 5a.m. and setting after 9p.m. However, it all depends on where you sit on earth, for other parts, in the south pole for example things are a little different with no daylight at this time of the year. This year, June 21st was also the day of the IRTS 80 Meter counties contest with around eighty stations participating from twenty-eight counties. 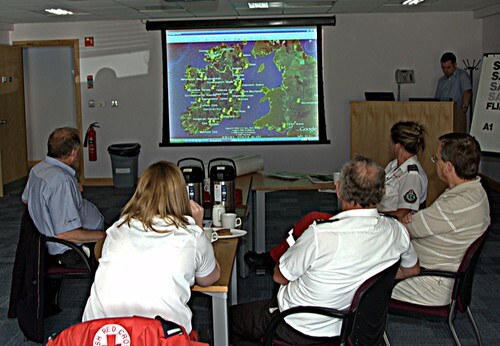 AREN was also participating with EI0RTS on the air and transmitting from the Civil Defense Head Office at Roscrea and operated by Ger EI4GXB and Keith EI4JM with Paul EI2CA and Gerry EI8CC acting as Hosts and Seamus EI8BP as PRO. 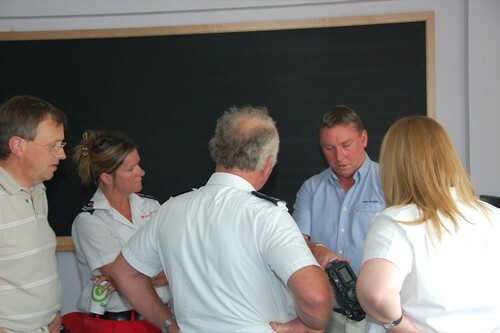 AREN’s purpose was to demonstrate the national and international communications capability using amateur radio equipment. Visiting the station were representatives from the Departments of Communications, Defense, Foreign Affairs, Civil Defense and Emergency Planning. From locations around the country AREN stations were relaying message in the IARU format, Tim EI5GPB, Charlie EI8JB and Laurent EI9JV were among them, also Paul EI3ENB was demonstrating low power portable station from Kilkenny, ATV and Field Day operation was being demonstrated by Thos E2JD and DunDalk ARC from Clougherhead, Co. Louth. Other well known Irish DXer’s assisting with the International Communications aspect of the demonstration include John EI7BA, Dave EI9FBB, Adrian EI8CE, Declan EI9FVB. Messages were received from both ends of the Country only thirty five minutes after the contest had began. As part of the International communications demonstration 20 stations were worked on 20m including Canada and Israel. Conditions were excellent with no noise on the band. Antenna for this demo was 20m wire dipole at 6m high, just to show the capability of simple equipment and antennas. We also had other EI dxers call EI0HQ to report what international stations they had worked during the hour. This was impressive with propagation routes to Asia, Central and South America, Canada, North Africa and Europe. The stations callsigns were displayed as an overlay on a rotating Google Map which was excellent and a must for future demo/special event station stations. The 80m Contest ran very well we worked 70 stations in 26 Counties, though we heard that 28 at least were active. Conditions were good with strong signals and little noise. At the end of the ‘exercise’ a number of stations called in to give their claimed QSO total and counties worked, so we had an immediate idea as to what activity was like. Also, to round it off Ger, EI4GXB gave an excellent demonstration of APRS to the assembled audience. The Glen of Aherlow Walking Festival ’09 took place in Tipperary’s Galtee Mountains on the weekend of 29 May to 1 June 2009. AREN was again asked to provide communications on the Saturday and Sunday, with an ‘A’ walk for very experienced walkers, a ‘B’ walk for the experienced and two ‘C’ walks for regular walkers on both days. Monday’s walks were low level walks which didn’t require AREN’s services. The weather over the weekend was almost perfect—cool in the morning rising to about 25°C in the early afternoon with mostly cloudless skies. This no doubt contributed to the large turnout of walkers—281 on Saturday and 210 on Sunday. 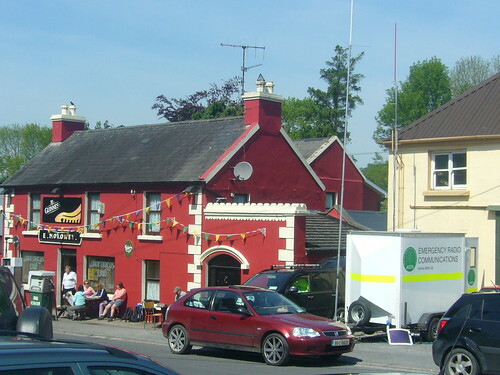 AREN’s Mobile Command Post trailer arrived with John EI7IG Saturday morning about 8.30am at the Festival’s base at Moroney’s Pub in Lisvernane. In short order, John EI2JB, John EI2GN, Eddie EI3FBB and Tim EI5GPB met at the MCP to get it ready for operation. After getting the trailer level (not so easy given the 15% grade of Lisvernane’s main street), the team set about to get two antennas erected for 2m (144.525MHz) and the PMR frequency in use by the walk leaders. This was accomplished using two drive-on antenna bases and telescoping poles. Mains power was supplied by Moroney’s Pub to the MCP’s new 12V power distribution panel which can also use battery and/or solar panel to power permanently-mounted rigs. By 9am, 65 ‘A’ walkers began to arrive for registration, and an hour later another 132 arrived for the ‘B’ walk. John EI7IG gave PMR radios to walk leaders and sweepers as they arrived, instructed them on their use and did radio checks. Around 9.30am, John, EI2GN left for position at Curraghturk peak near Ballylanders, 10km southwest of the MCP. Shortly thereafter, John, EI2JB left for position at Christ the King on the ridge just north of Newtown, 5km ENE of the MCP. To cover the portion of the ‘B’ walk to the south of the Galtees, Paul EI3ENB was in position at the Vee, 30km southeast of the MCP at a high point near Clogheen. With the MCP located north of the Galtees, John EI2GN located to the west, John EI2JB to the northeast and Paul EI3ENB to the southeast, at least one station would be able to work any PMR radio from each of the walks and relay messages as needed to the MCP for further communication to festival base. Eddie EI3FBB served as shadow to festival leader Helen Morrissey, and Tim EI5GPB served as net control backed by John EI7IG. Aside from clearing up the inevitable mismatch of registered numbers communicated from festival base with the numbers actually counted upon arrival at the start point, there was little activity at the start of both days. Radio checks were made among AREN members and with the walk leaders before the walks started. 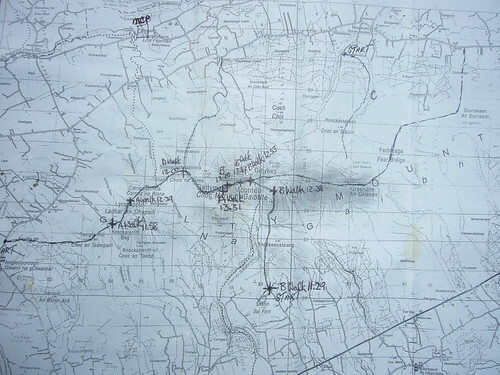 Walk leaders were contacted at least every hour to get a position update and these were plotted roughly on charts in the MCP. As the walks neared their destinations and in some cases with walkers spread out for a considerable distance, radio contact enabled scheduling buses to collect them with minimal delay. Remote stations were stood down as walks were completed and net control at the MCP shut down at 5.35pm. On Sunday, the same routine of re-erecting antennas, etc in the morning went more quickly. 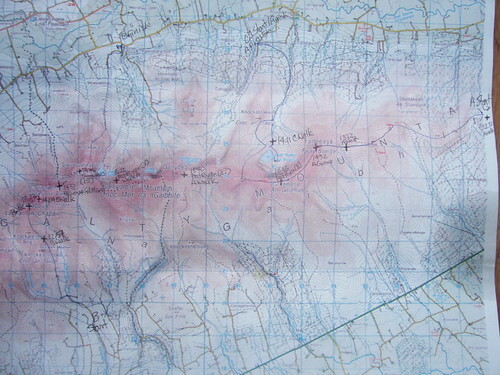 The ‘A’ walk was starting from well to the east side of the Galtees, so cover to the south was needed. Tommy EI2IT was unable to man the Vee due to a family illness, so John EI2JB took up position there and Tommy 2IT relayed messages from his home QTH when required. John EI2GN was in position at Christ the King, and Eddie 3FBB, Tim 5GPB and John EI7IG were at base. At one point in the early afternoon, an asthma sufferer on ‘B’ walk was unable to locate medication, but a suitable replacement was quickly located. Also that afternoon, both ‘A’ walk and ‘B’ walk (in two very different locations) split into two groups with fast walkers in each group going ahead of the others. This made for some initial confusion as to the numbers in each group, and of course there was no longer the usual leader at the front and sweeper at the end as each walk had only two radios. However, all were accounted for in the end. Remote stations were stood down in order and, with all walkers accounted for, net control closed at 5.21pm. It was a good event, and the festival organisers were (we think) very appreciative of AREN’s contribution. We were able to test the MCP for only the second time and found the 12V power panel a great improvement from before. Despite the fact that we’ve done this even a number of times before, it was and will continue to be a learning process and a great event for training new operators.